The so-called Xiquets de Hangzhou team will leave Salou on Wednesday, where they’ve been for 10 days, and begin a long journey back to China. The Chinese castells team (that is, human towers) took part last weekend in the Concurs de Castells de Tarragona competition for the first time, thanks to organization’s official invitation. 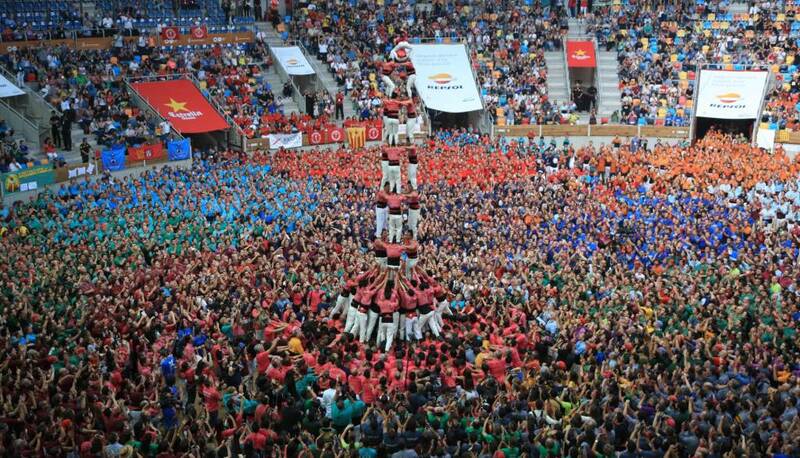 The Chinese “colla” (“castells” group or team) did not let people down, as they managed to successfully build pretty impressive “castells”: the “tres de nou amb folre”, the “dos de vuit amb folre” and the “quatre de vuit” (9 and 8 floors, respectively) and nearly managed with the “quatre de nou amb folre” (a more difficult 9-floor “castell). Xiquets de Hangzhou came in second place. 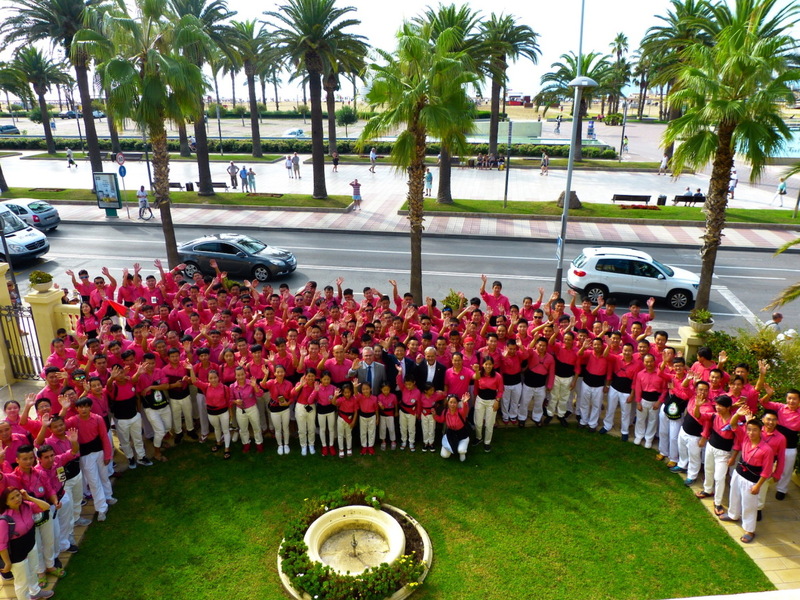 The Chinese expedition, with around 170 “castellers”, is staying in a hotel in Salou. They have the support of the legendary Colla Vella dels Xiquets de Valls, a group that has a very special relationship with the capital city of Costa Daurada that became a “plaça de 9” this year (first time ever to witness a 9-floor “castell”) due to the 30th anniversary since their very first performance in the very same hotel. Xiquets de Hangzhou was founded by Qian Anhua, Chinese textile businessman, who got to meet “castells” on a trip to Catalonia back in 2009 and decided to import them to his textile colony, Antex (De Qing). 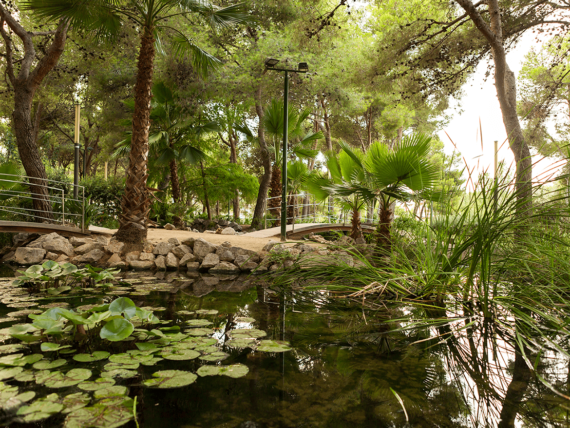 The Chinese “colla” started their activity in May 2010, as a result of a trip by Colla Vella dels Xiquets de Valls to Shanghai for the World’s Fair. Xiquets de Hangzhou and Colla Vella have had a very close relation ever since and members from both groups have visited each other several times: 2 trips by Colla Vella in 2010 and 2015, and 2 trips by Xiquets de Hangzhou in 2012 and 2015. 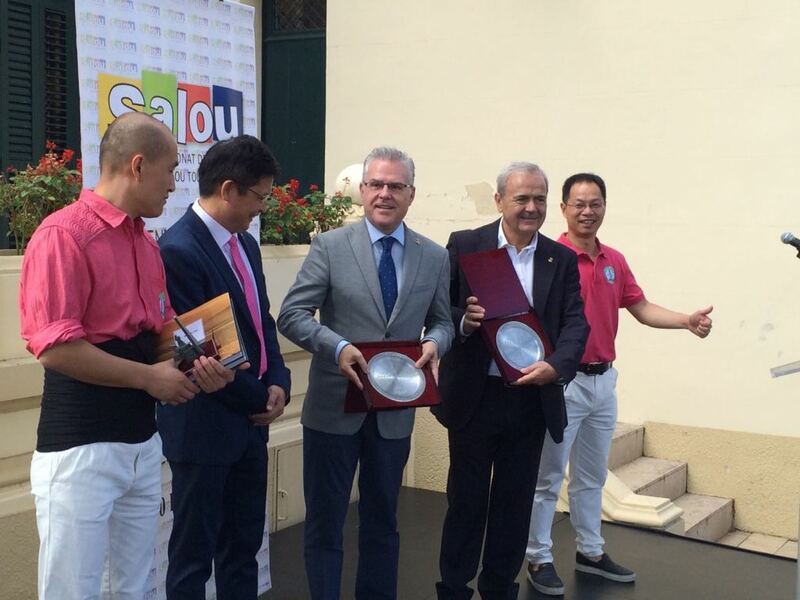 On their visits in Catalonia, this Chinese group always chose to stay in Salou. The first trip by Xiquets de Hangzhou to Catalonia was in 2012 at the initiative of the company Antex, with also around 170 people. They took part in a number of Colla Vella rehearsals and then performed in Valls, Tarragona, Salou and Barcelona, among other towns. 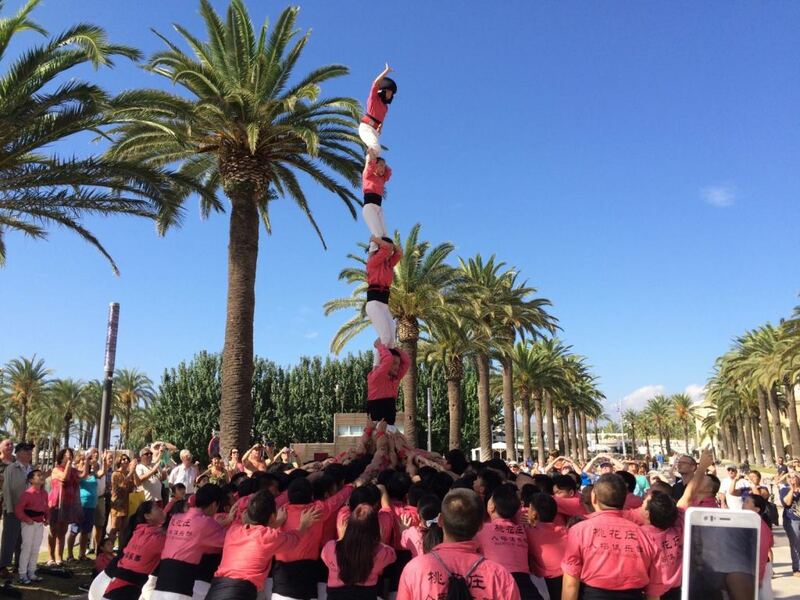 This time, and due to an invitation by Concurs de Castells de Tarragona, Xiquets de Hangzhou has also performed in Salou, with 7-floor “castells”.